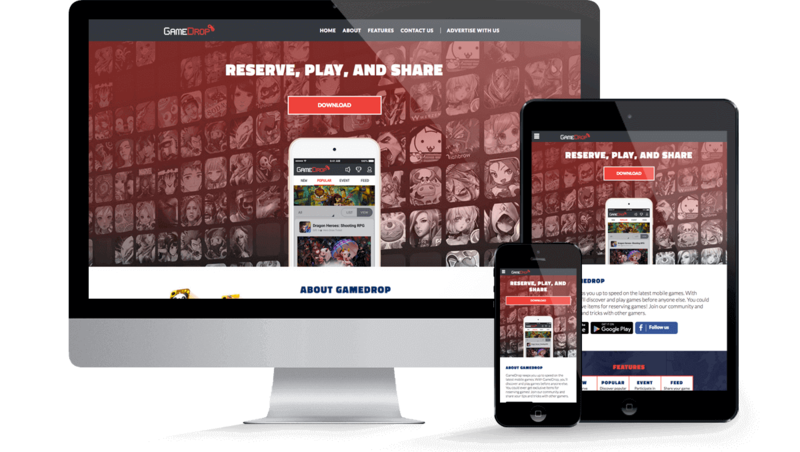 GameDrop is a mobile game pre-registration platform. 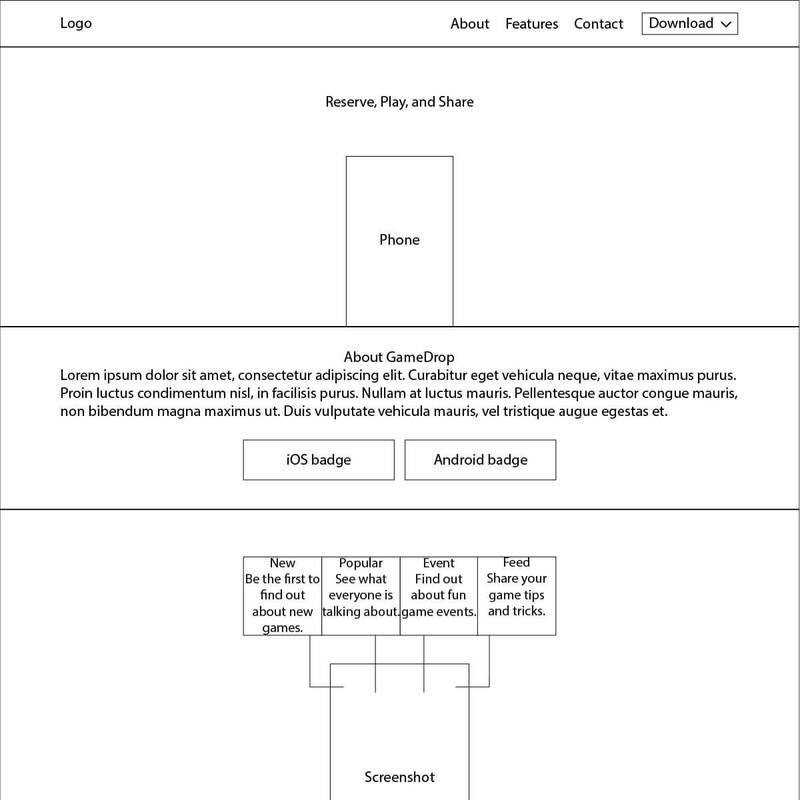 Its users are among the first to find out about upcoming games. 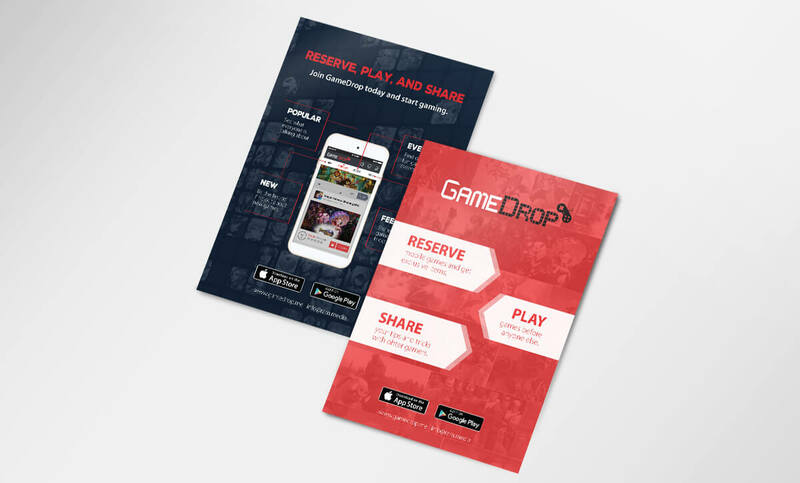 Users can get exclusive in-game items for reserving games and participate in the GameDrop community. 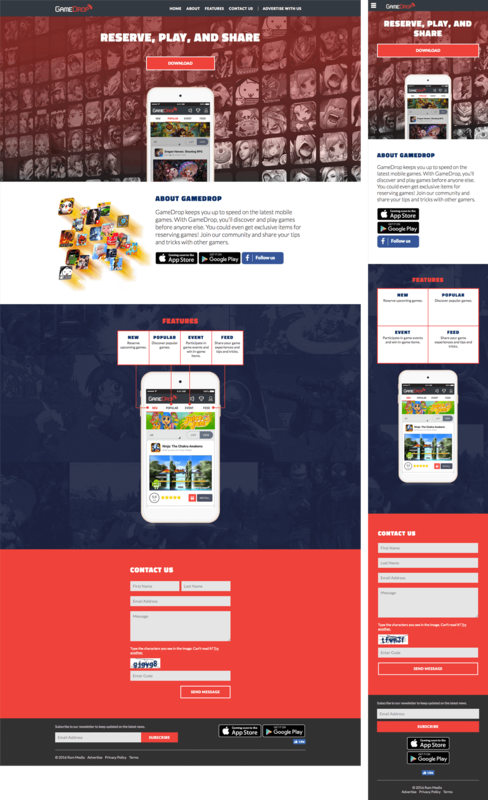 I designed an on-brand website and flyers that would explain the GameDrop concept to new users.